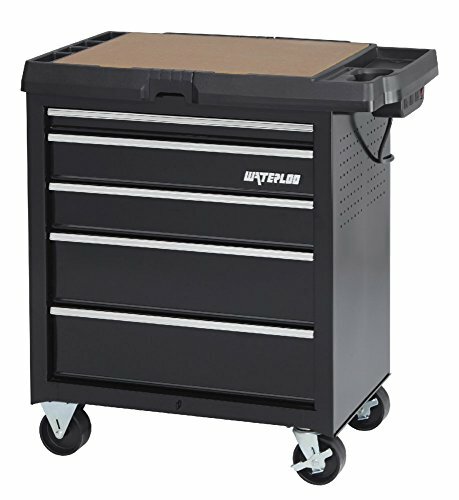 This Excel 36" steel roller cabinet has seven ball bearing slide drawers, center lock with two keys, one heavy duty steel side handle, rubber top mat, full length aluminum drawer pulls, EVA drawer liners, a tough industrial powder coat paint finish for corrosion and scratch resistance, and 5 x2 in. heavy duty casters /2 swivel w/ locks/ 2 fixed. 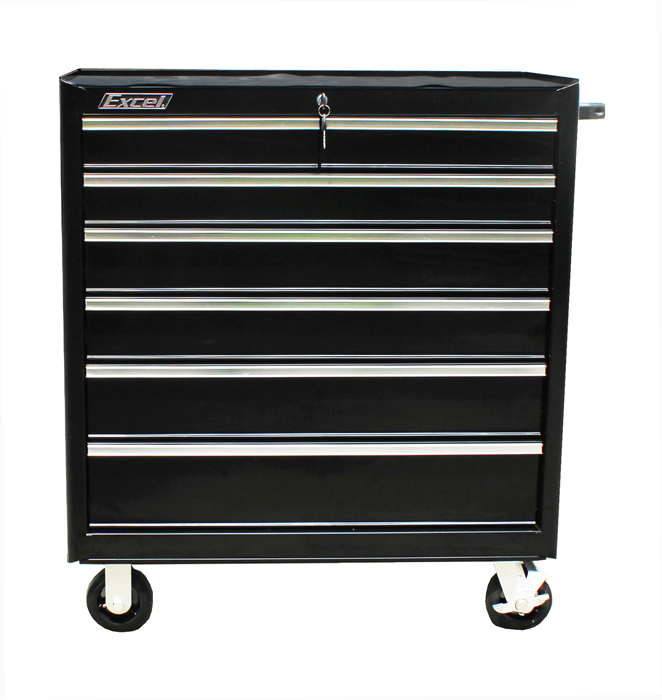 This roller cabinet is made from durable cold rolled steel and has a maximum overall weight capacity of 750 LBS. The TB2608X-Black may be used in combination with the TB2108X-Black. 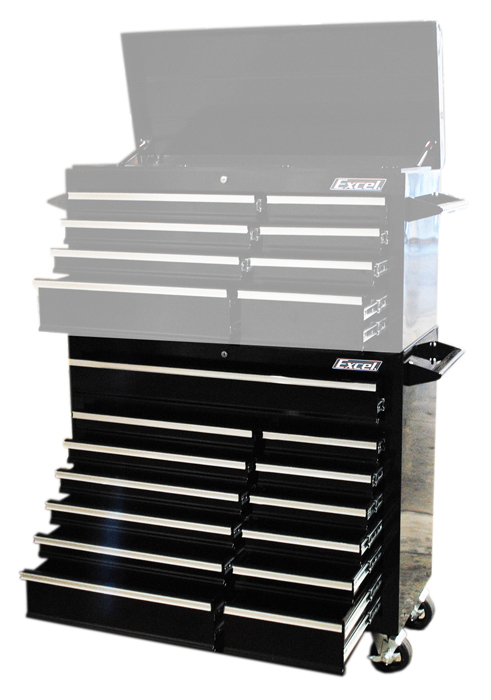 Commercial Series Tool Cabinet. 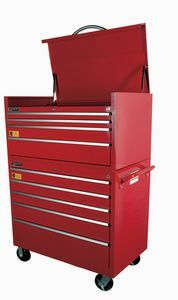 14 Drawer 53" Commercial Rollcab Red. 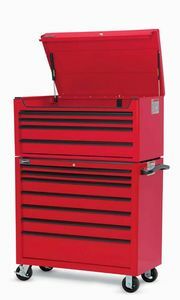 Manufactured by: Williams, a JH Williams Company..
Commercial Series Tool Cabinet. 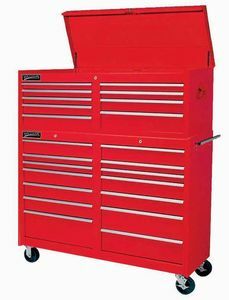 15 Drawer 42" Commercial Rollcab Red. 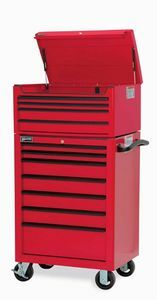 Manufactured by: Williams, a JH Williams Company..
Professional Series Tool Cabinet. 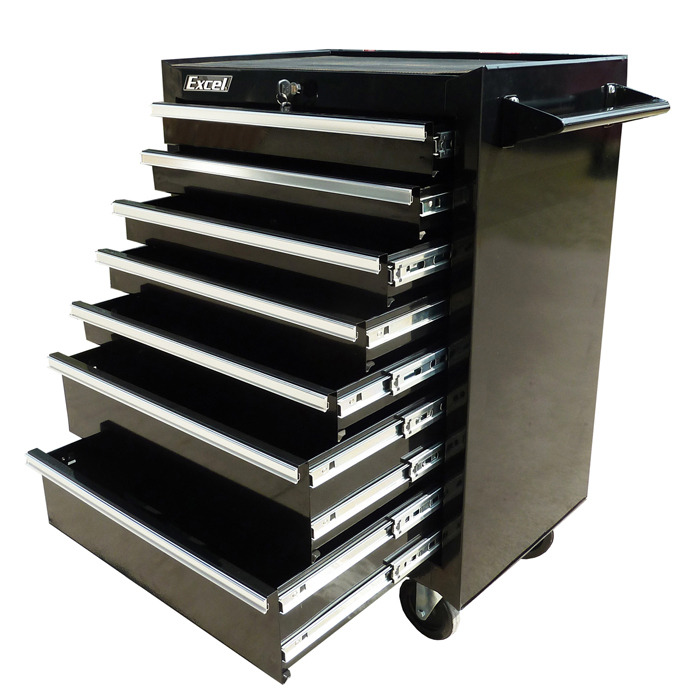 26" 7 Drawer Roll Cabinet. 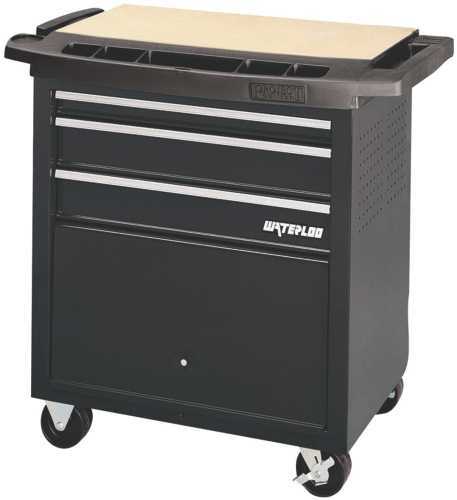 Manufactured by: Williams, a JH Williams Company..
Professional Series Tool Cabinet. 40" 7 Drawer Roll Cabinet. Manufactured by: Williams, a JH Williams Company..
Excel 27" Steel roller cabinet with 5 ball bearing slide drawers, double ball bearing slides on the bottom drawer, coded lock and keys, side handle, EVA drawer liners, rubber top mat, full length aluminum drawer pulls, an industrial powder coat paint finish, and 5" x 1" casters / 2 swivel with locks / 2 fixed. 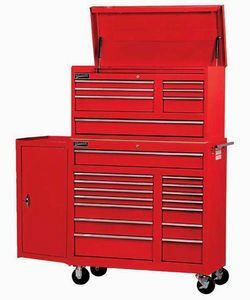 TB2090BBSB-Red Dimensions Overall with casters: 27.2" W x 18" D x 34.8" H.
Heavy-Industrial Series Cabinets. 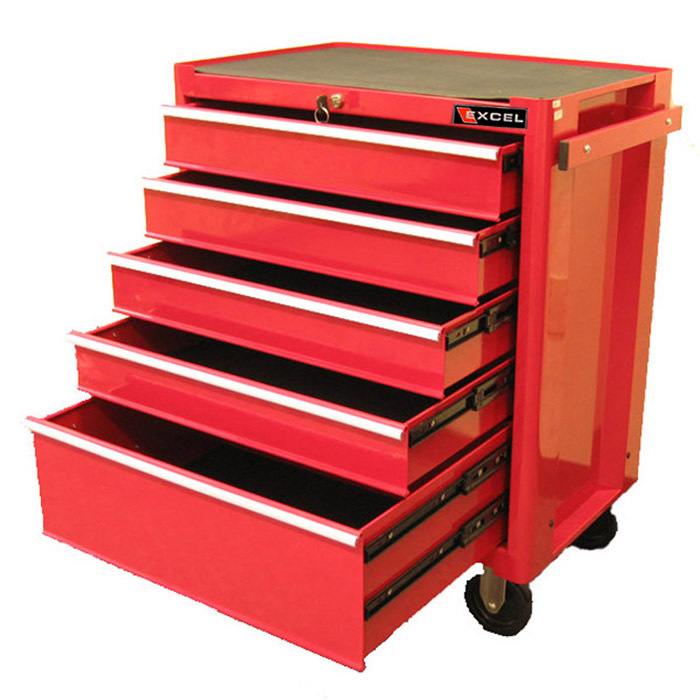 5 Drawer 42" Industrial Duty Rollcab Red. Manufactured by: Williams, a JH Williams Company..